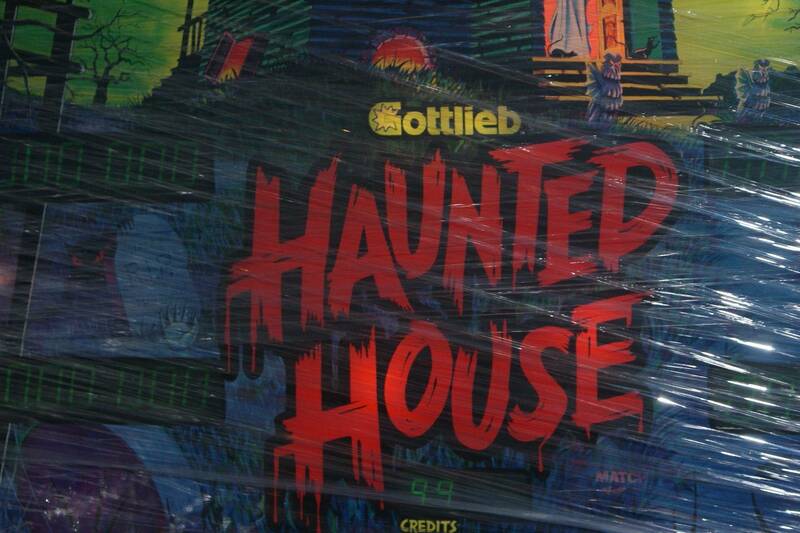 Haunted House is everyone's favorite pinball machine back in the '80s. 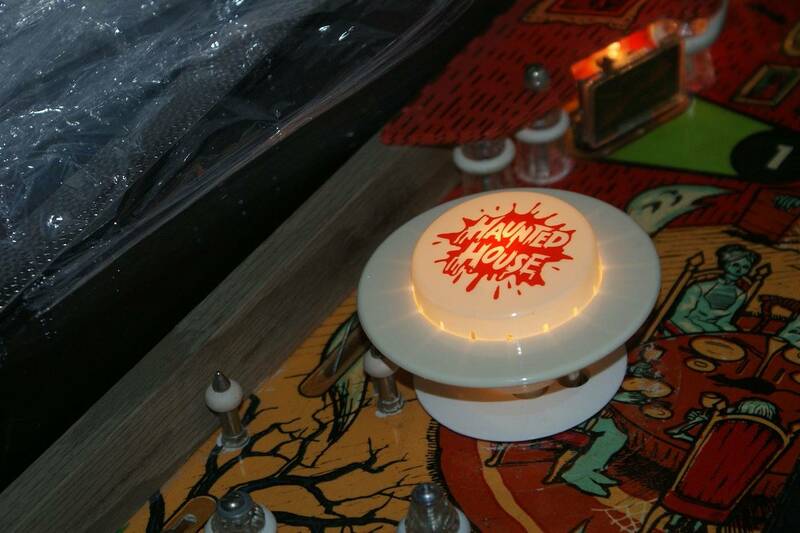 This triple-playfield game takes pinball to unique levels including ''the basement''. 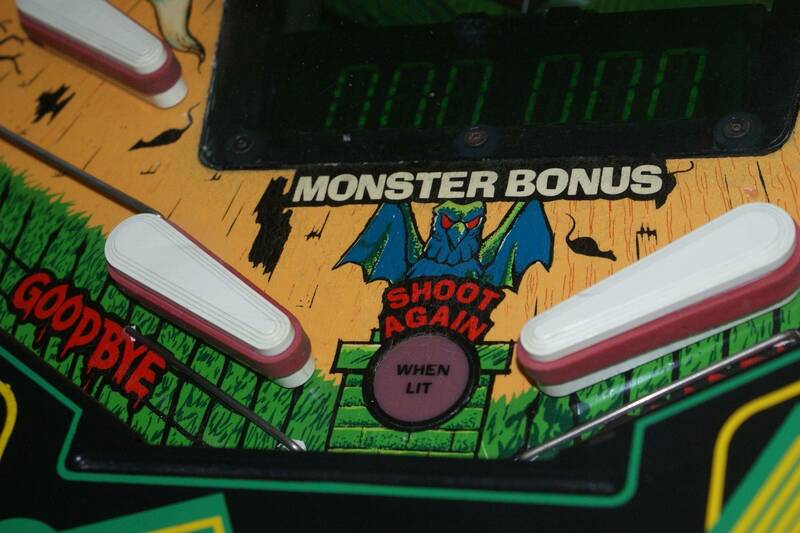 It also comes with a ''monster bonus'' counter that can handle double-bonus scoring when completing targets. 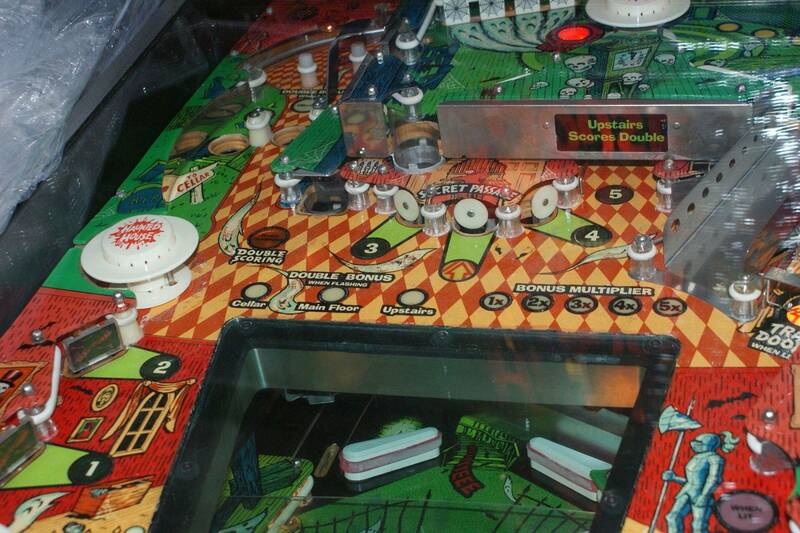 Playfield's scores can be doubled as well in certain areas. 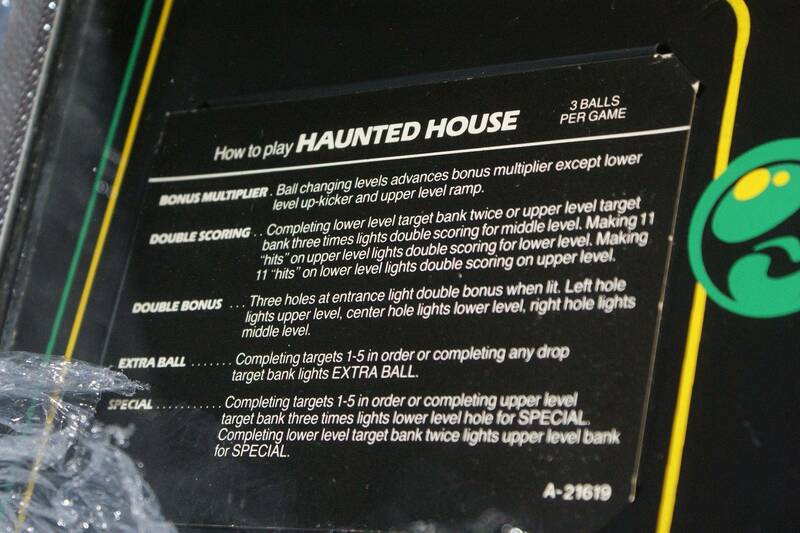 Although it's only a single-ball game, you can rack up a good amount of points. 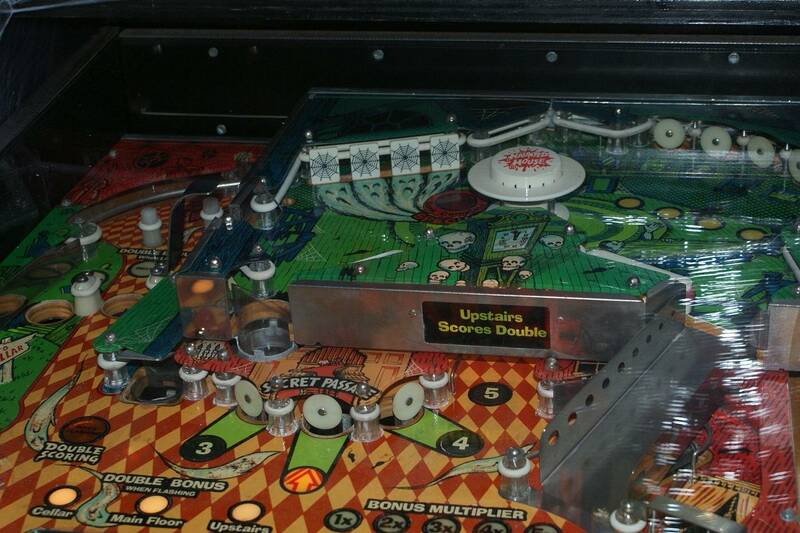 Unique parts include a roll-over target and a trap door hidden behind the ramp. 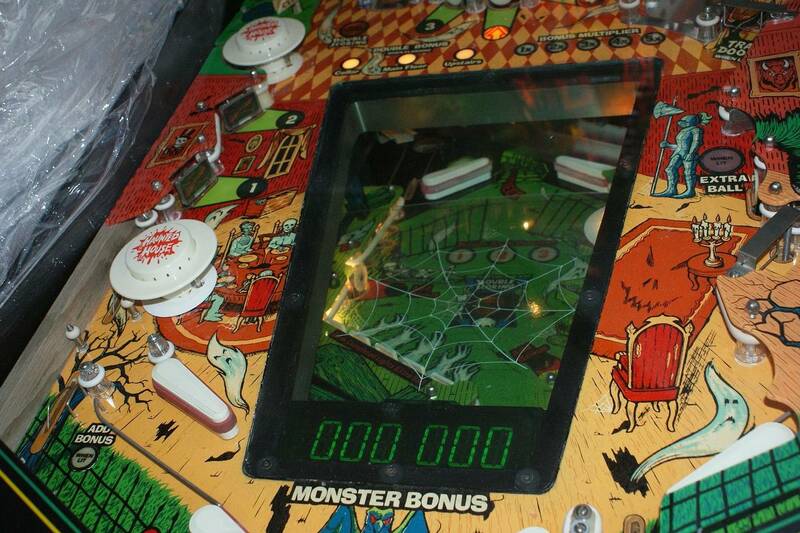 Music clips are from bach's toccata fuge and alfred hitchcock presents' theme show. 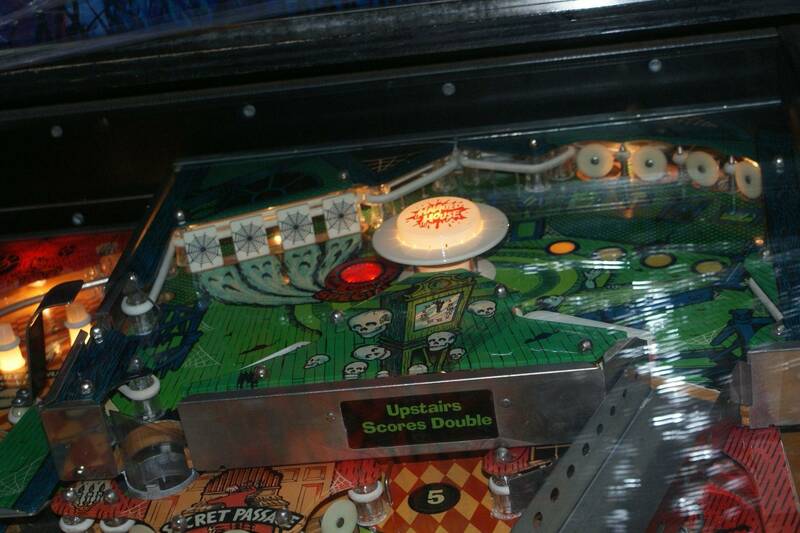 8 flippers total using the 2nd set of flipper buttons to operate both upper and basement, 4 scattered pop-bumpers, 4-piece and 5-piece drop targets, 4 single ''kick'' targets, 2 kickholes, kickloop, 2 slingshots, 2 vertical up-kickers, drop-hole, 4 hidden ramps to basement, ramp to upper-playfield, two clear plastic tubes, 5 six-digit flourescent displays (#5 using bonus) and credits & ball-in-play/match four-digit display. 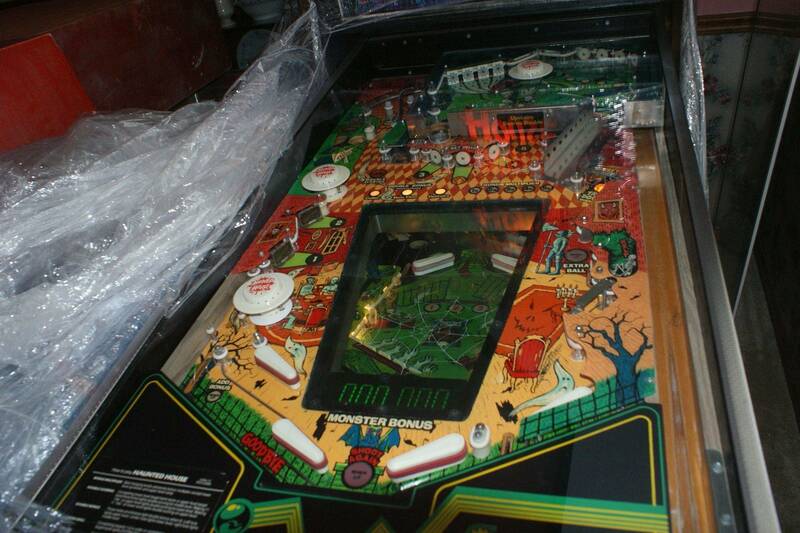 Game is in excellent shape and plays as it should. 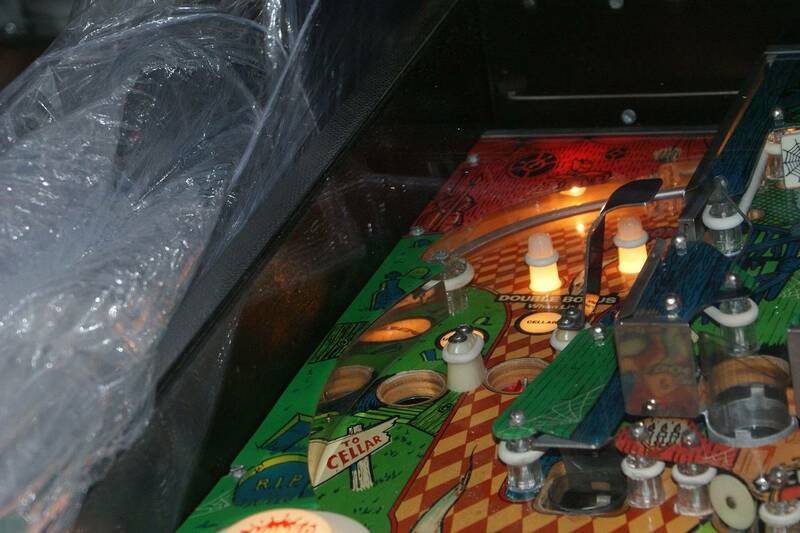 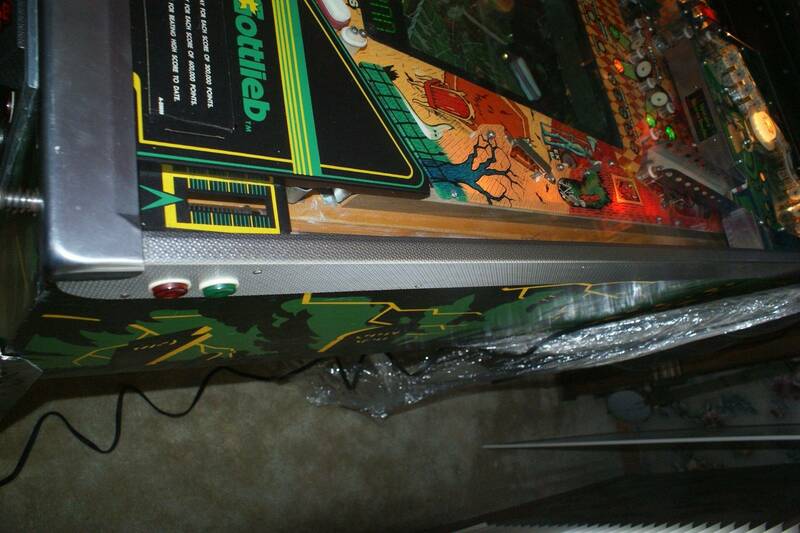 Back Glass, Cabinet and playfield in excellent shape. 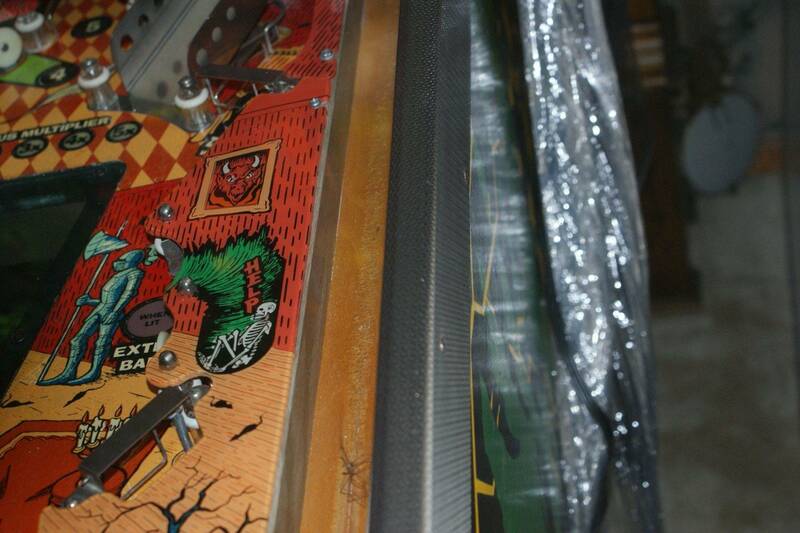 A little wear on playfield on 2nd level where ramp meets the play field. No broken plastics. 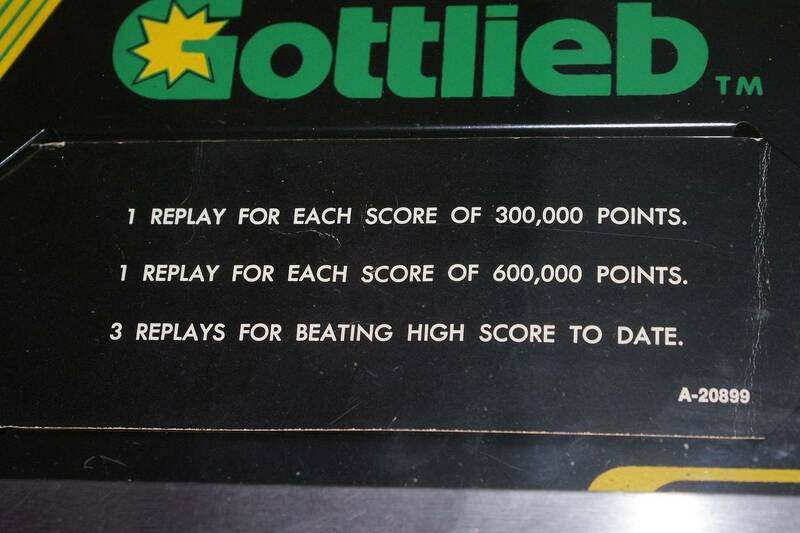 These are Yubill300's all time market stats. 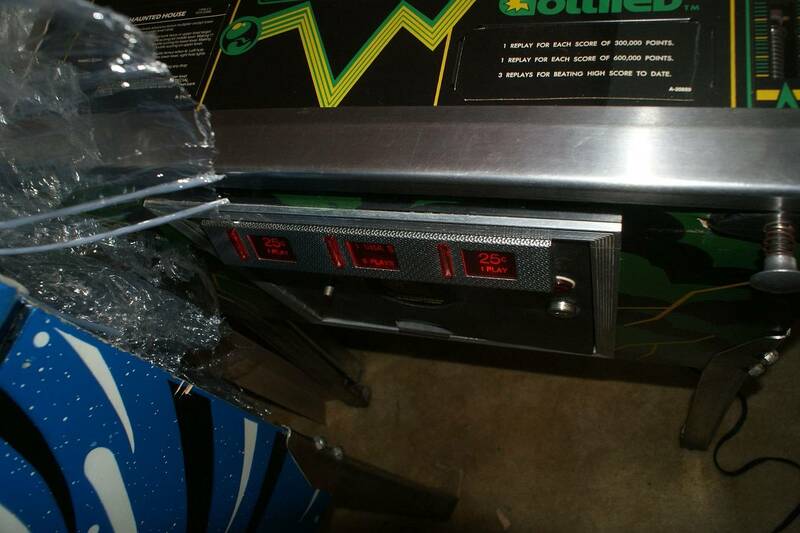 Bump for the dead spider in the shooter lane!